Are you a content creator and Facebook marketer? 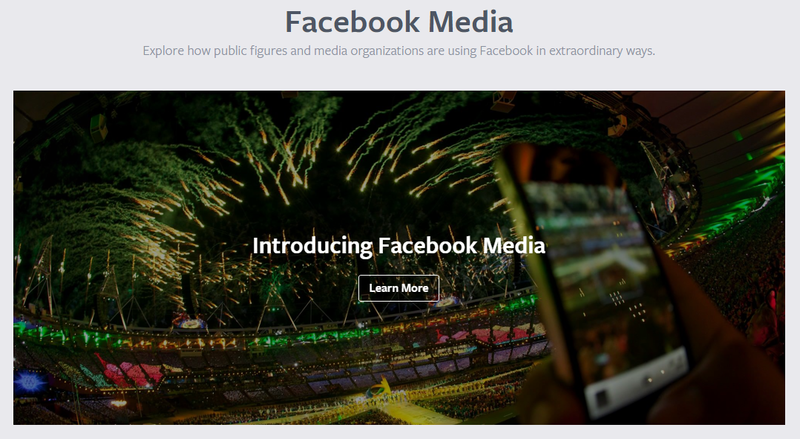 Facebook has created a new help page called Facebook Media that is intended towards highlighting great examples and new trends that illustrate how public figures, organizations and media companies are using Facebook to connect with their audiences. This new page will share best practices to help content creators increase their footprint on the social network. Besides best practices, Facebook says they will also share data from current media companies and success stories to help other marketers. One of the more important sections. It contains information about how public figures can uses tools like Facebook Mentions to connect with fans via their Facebook Page. This section also provides some examples of types of engaging content you can post. Contains information about how to drive referrals by doing things like sharing links on your Page, adding the Like and Share buttons to your website, and other best practices. This section contains information about how to reach more of your Facebook audience with video, and use video metrics and call to action links to understand and engage your audience. If you produce content for television, this section has information about how to get your TV audience to engage with you on Facebook. “…like the TODAY Show, which featured trending topics on air to highlight the most talked-about news moments on Facebook”. This new page can prove to be a very useful resource for content creators and marketers. They can learn more about how to build and engage audiences, as well as keep up with the latest trends and best practices from across the broader community. Study the page and use it to your advantage.